This weekend I fiddled with my Rocket Heater some more. 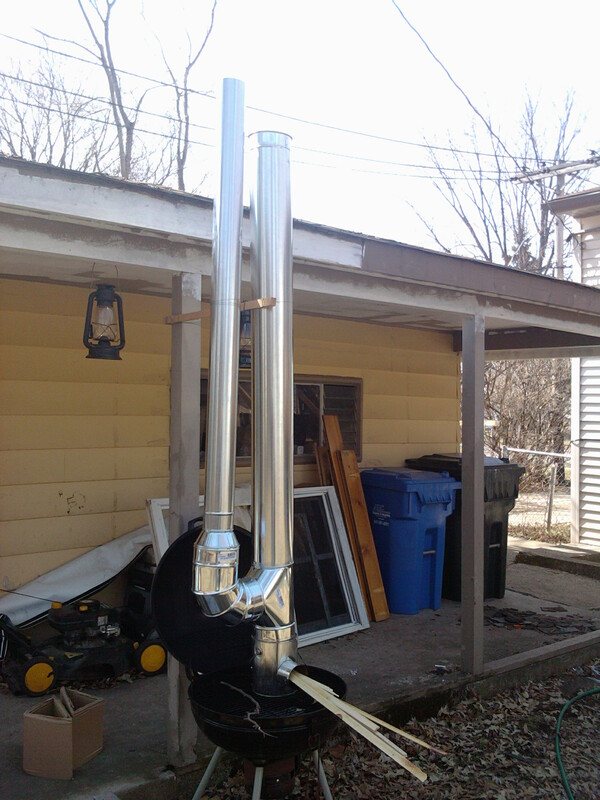 I put an outer chimney around the existing chimney so I can pull the exhaust down, then out the side, and currently am running it right back up. The elbow I am using I can adjust so I can run the exhaust any direction. It surprised me how well this worked, pulling the exhaust down. The amount of heat coming off the top of the outer stack was amazing! I will be playing with this some more in the near future.